Nassar is Tamil actor, producer, storywriter, director, lyricist and singer. Worked with in Tamil, Telugu, Malayalam, Kannada, Hindi and English films. He can be bracketed with the real time actors like Om Puri, Mammooty and Kamal Hassan. Nassar sprung from humble beginnings. He was born on March 5, 1958, in an interior village called Naththam, in Chinglepet district, Tamilnadu. He was an indifferent student and bid goodbye to his P.U.C. studies, while he was half way through the course. The pull of fine art was something he could not resist. He escaped to Chennai. With his experience as drama writer and actor, he started seeking chances to act in films, but he was not successful. Hunger forced him to suffer and at one point, he joined the catering department of Taj Coromandel Hotel, Chennai. While he was trying for chances in cinema, he also wrote stories and poems and sent them to newspapers and magazines. Some of them were published. 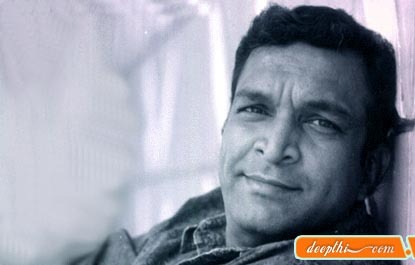 Nassar joined the Film Institute in Chennai, in the year 1982-83, and received his diploma in acting. Prior to this, he also underwent training in acting at the Acting Training Centre, affiliated to South Indian Film Chamber, Chennai. His efforts started bearing results when he was introduced as an actor in K. Balachander's film Kalyana Agathigal. He entered the film industry in 1985. He has acted in more than 200 films, which include Tamil, Telugu, Malayalam, Kannada, Hindi and English language films. He also became popular in T.V. serials. The telefilm Kaattuppookkal, directed by Mahendran, and the other one titled "Panagaadu", directed by Senathibathi elevated his popularity as an actor. T.V. serials like Neela Mala, Chiththirappaavai, Vaana Veethi and Avalukkentru Oru Idam also earned him a good name. Nassar says that Mahendran is one of his favourites among film directors. In 1995, Nassar acted in and also directed the film "Avatharam". In 1997, he acted in as well as directed the film "Devathai".